Power lifting training may not be what you think it is. What once had a stigma is now on the rise again, pun intended. It is well known in the fitness world that if you want to get strong and firm, you need to go heavy. Power lifting training can be done at any age, by any fitness level and the gains are worth taking another look at. 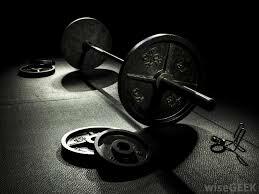 Power lifting training builds strength of body and mind. When you learn proper technique and the mechanics of power lifting you can maximize your fitness gains. Power lifting movements engage multiple muscle groups simultaneously as they work together to achieve maximum results and ultimate utility strength with just a barbell and weights. This differs from weight training workouts that use machines or exercises that isolate muscles and train them separately. Our bodies are smart and when we continue to work out the same way, day over day, without switching things up or challenging different muscle groups or using different intensity levels and intervals, then we risk not getting the effects we are striving for. To realize the impacts of what a lifting plan can do for your body you have to start at the basics. Power lifting gets its roots from strength training traditions as far back as the Greek and Roman times. Strength training builds strength and endurance through muscle contraction. When preformed properly the benefits to your overall health range from increased bone, muscle, tendon, and ligament strength to improved joint function, reduced potential for injury, increased bone density, increased metabolism, increased flexibility, increased cardiac function and better posture. Safety first always! That means if we’ve peaked your interest in wanting to learn more about power lifting techniques and strength training then talk to a Tahoe Club 100 trainer on how to incorporate a power lifting plan into your workout. Raise the bar, find your strength, it’s time to go heavy.